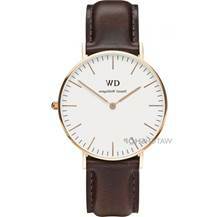 In just eight years, Swedish brand Daniel Wellington has gone from a modest watchmaker to one of the best-selling quartz markers in the UK. Its widespread appeal has earned global recognition, with designs worn by celebrities such as Selena Gomez and Kendall Jenner. 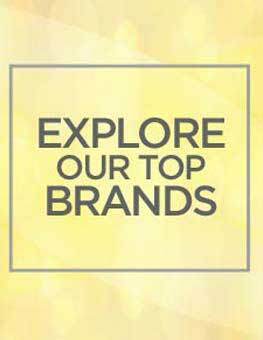 Here, we tell you about the brand's origins and showcase some of our favourite designs, so you can join the high fashion ranks by adding a Daniel Wellington watch to your complete your look. It all started when founder Filip Tysander bumped into an intriguing British gentleman with immaculate style on a trip abroad. Wearing a vintage watch with a weathered NATO strap, Tysander was captivated by his style - so much so, that it inspired him to create his own range of watches. 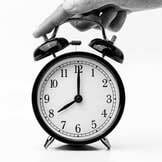 The watches are a key player on the minimalist fashion scene and interchangeable straps make up a major part of the brand's DNA - ideal for switching up styles when you fancy a change. 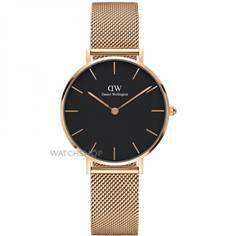 Today, Daniel Wellington is a leader in the mid-range market, admired for its classic styling and thin bracelets. Need a hand choosing one? We've selected six stylish options that will elevate any outfit. Nothing quite says luxury like rose gold and black. 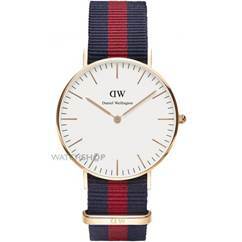 This beautiful Classic Petite Melrose (RRP Â£139) watch from Daniel Wellington is an elegant piece of jewellery, and will take you from desk to dinner in a blink of an eye. 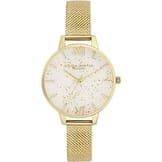 Eloquently feminine, its slimline mesh bracelet is flattering and pretty. 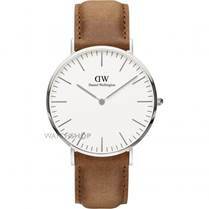 The Daniel Wellington Classic watch (RRP Â£159) is exactly what the name suggests, with a slightly modern spin. Its simple white face and grainy leather strap make it an incredibly versatile piece that will blend in seamlessly with any outfit. Wear it jeans and your favourite jumper, or pair it with a smart shirt to transition to a sophisticated evening look. Fan of vintage? 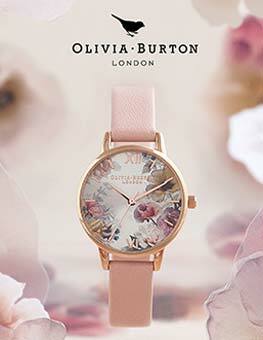 You'll love the Bristol Rose watch (RRP Â£139, our price Â£97). 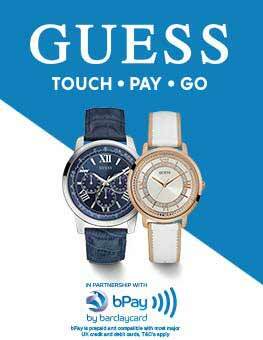 Featuring a timeless leather strap and simple white face, it's a look that will never go out of style and will pair easily everything. 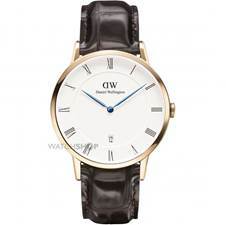 The leather strap feels supremely comfortable on the wrist and will wear nicely with age. The Dapper York Rose watch (RRP Â£199) from Daniel Wellington exudes quality and is ideal if you're drawn to traditional styles. It's a classic all-rounder that works well for work and weekend. Made with a crocodile-like leather strap that will wear handsomely with age, it's a timepiece that you'll cherish for years to come. 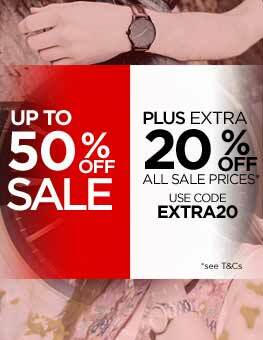 Make stripes the key focal point of your outfit with this statement Oxford Rose watch (RRP Â£129). 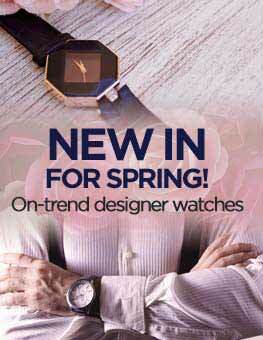 Its multi-coloured strap offers a tomboy feel, yet the rose gold detailing keeps it feminine. Ideal for weekend wear, it would look great simply styled with a plain t-shirt and jeans. It's the perfect go-to accessory for your weekend wardrobe. 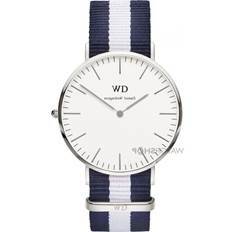 This blue and white striped watch (RRP Â£129) is the definition of nautical done right. Ideal for contrasting with light blues, it's crying out for a casual denim shirt with rolled up sleeves. Throw it on when you're getting ready in a hurry to give your look a smart finish. Embrace Swedish minimalist styling with a quintessentially British twist - explore the full range of Daniel Wellington watches for more inspiration.